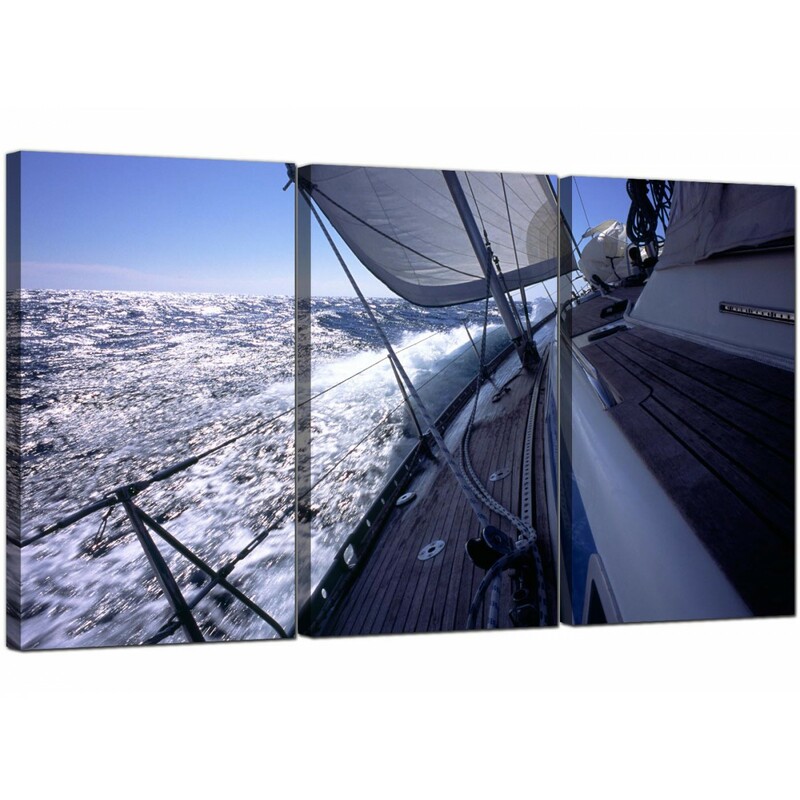 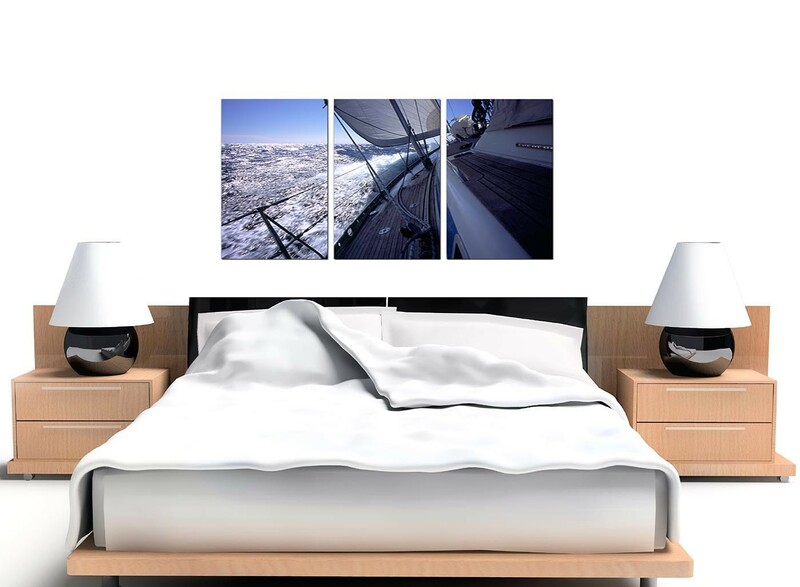 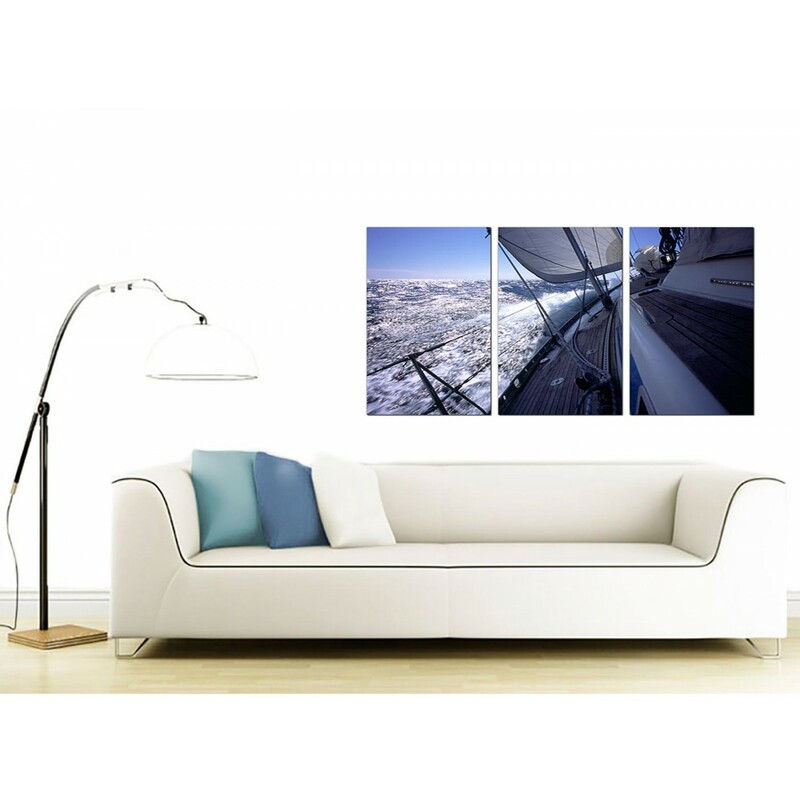 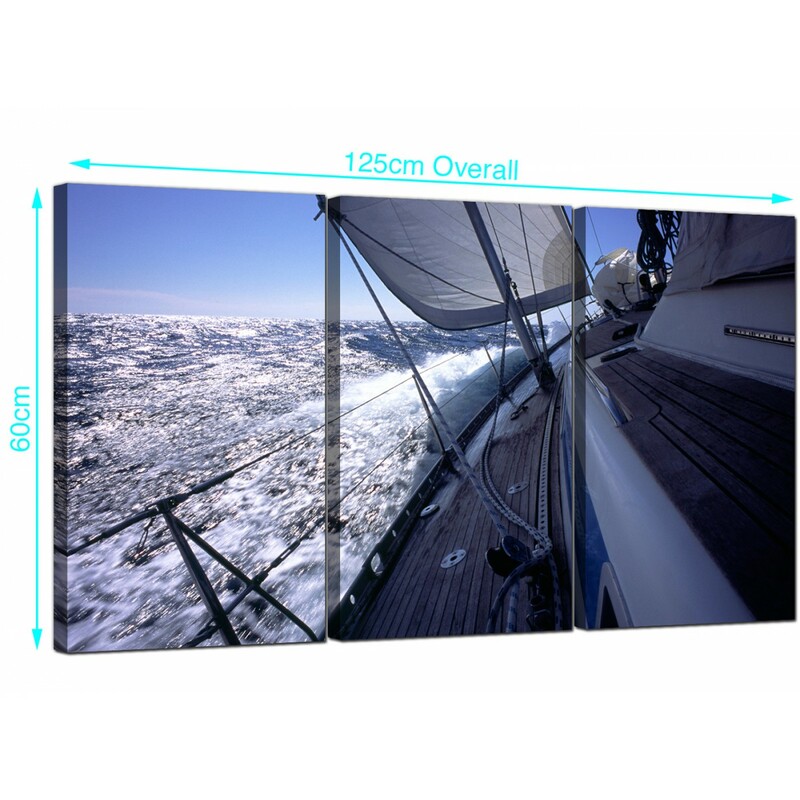 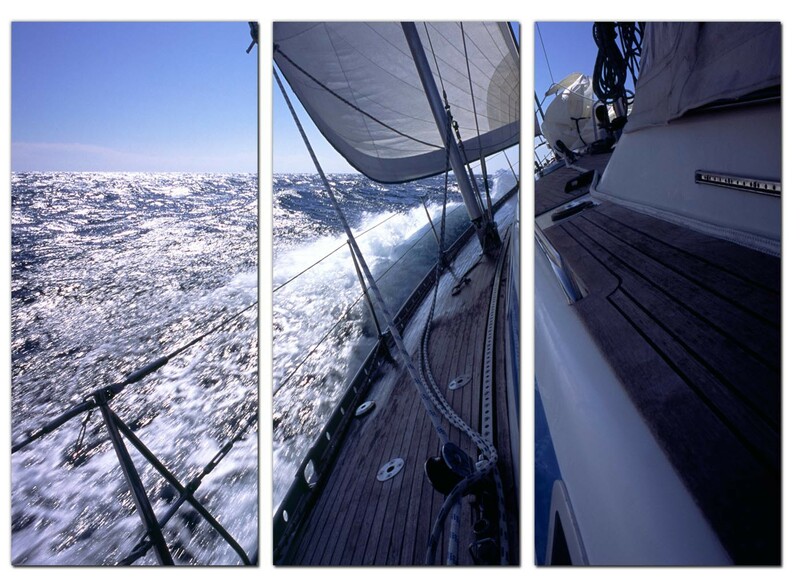 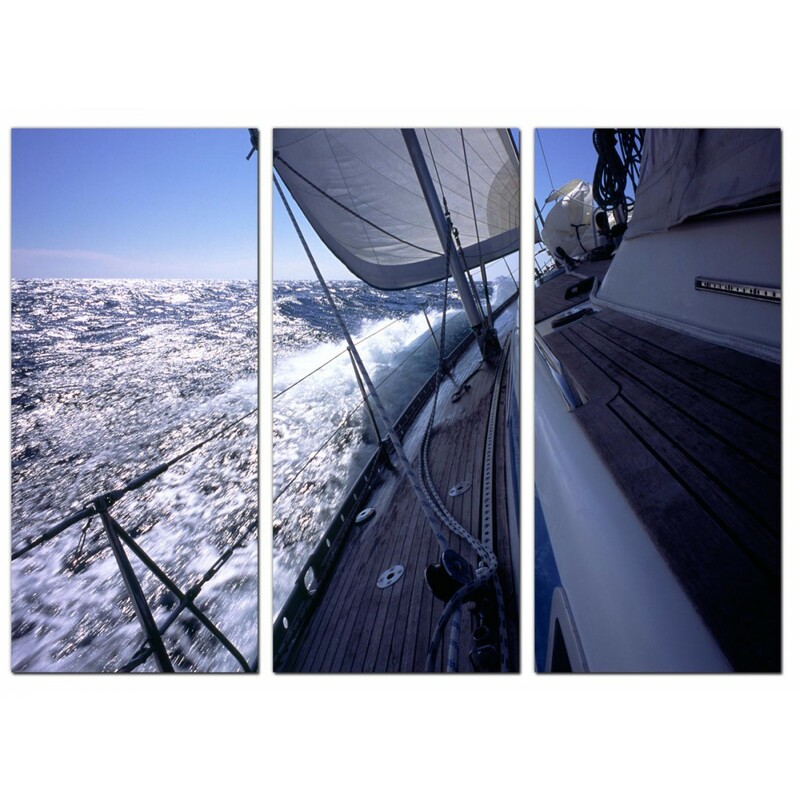 Panoramic canvases of a sailing yacht at sea in cool blue tones. 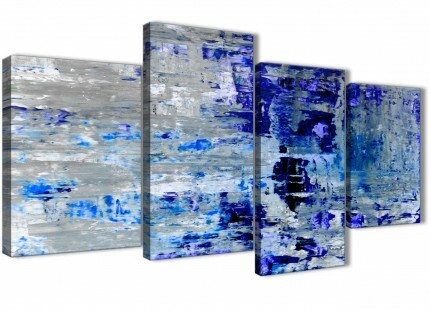 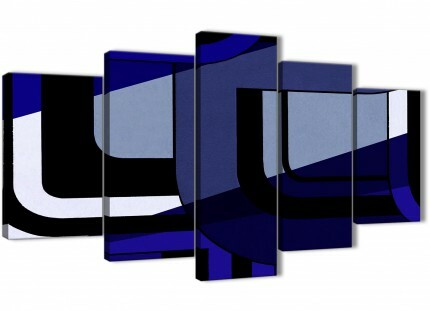 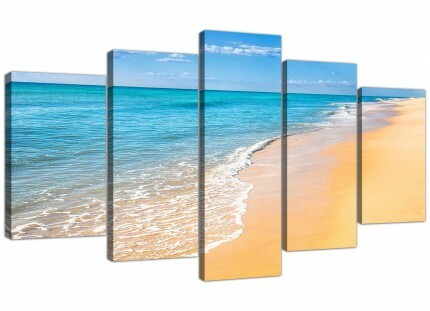 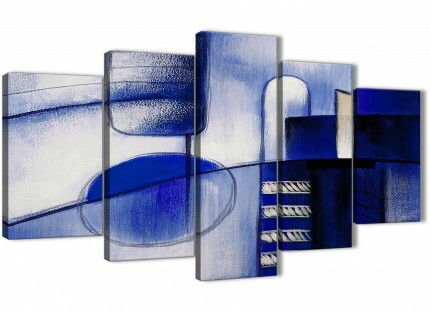 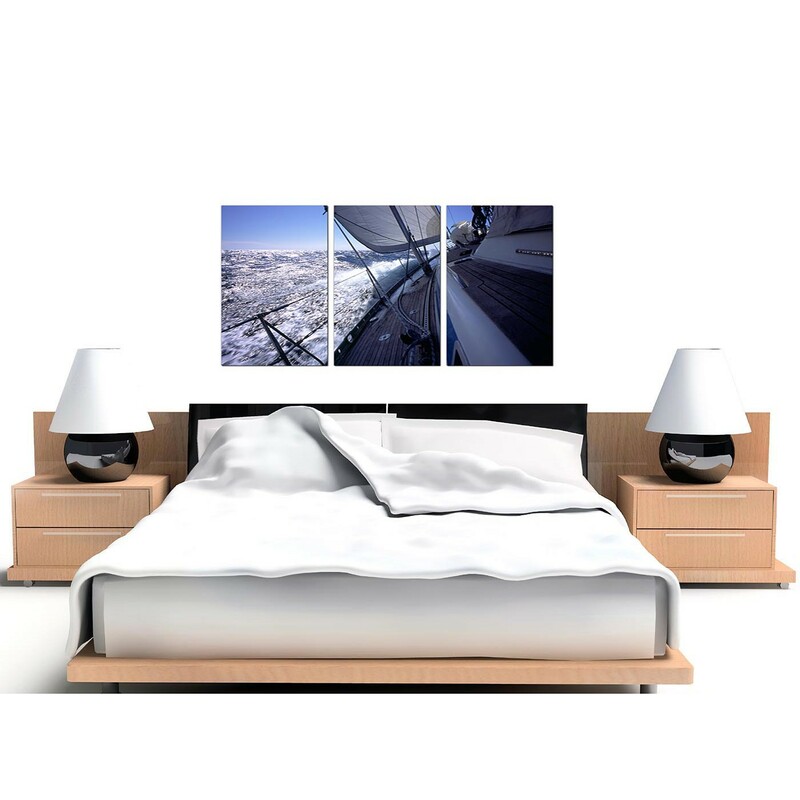 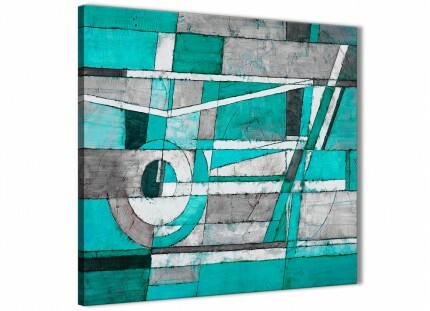 An extra large blue modern set of 3 canvas wall art. 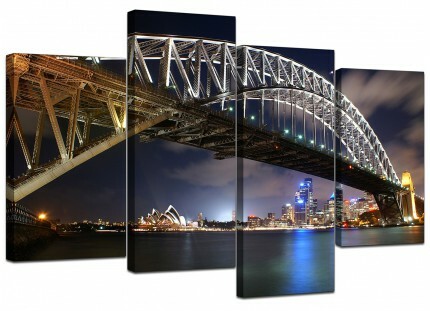 The United Kindom's most trusted canvas wall art gallery. 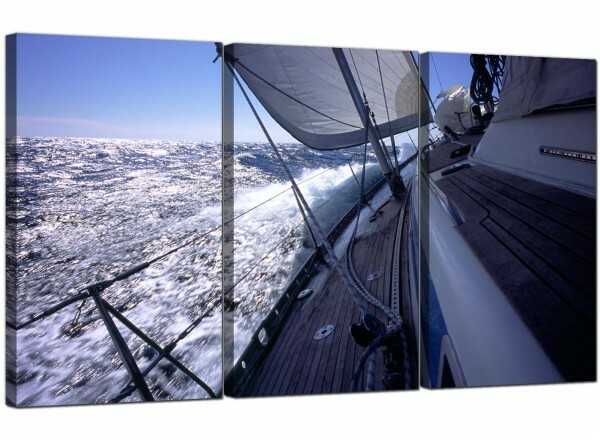 Canvas sets are made in high quality with 75 year fade resistant inks. 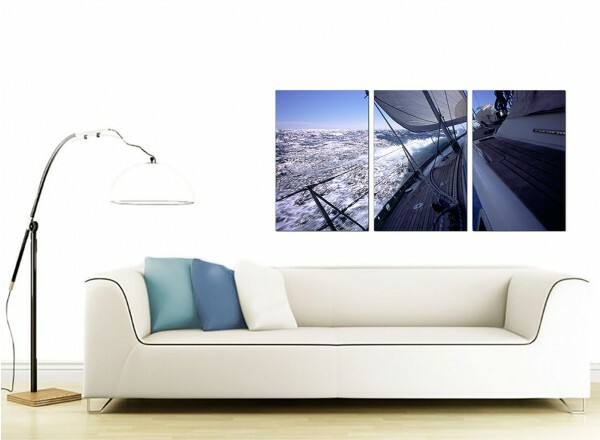 Ideal length for above your sofa. 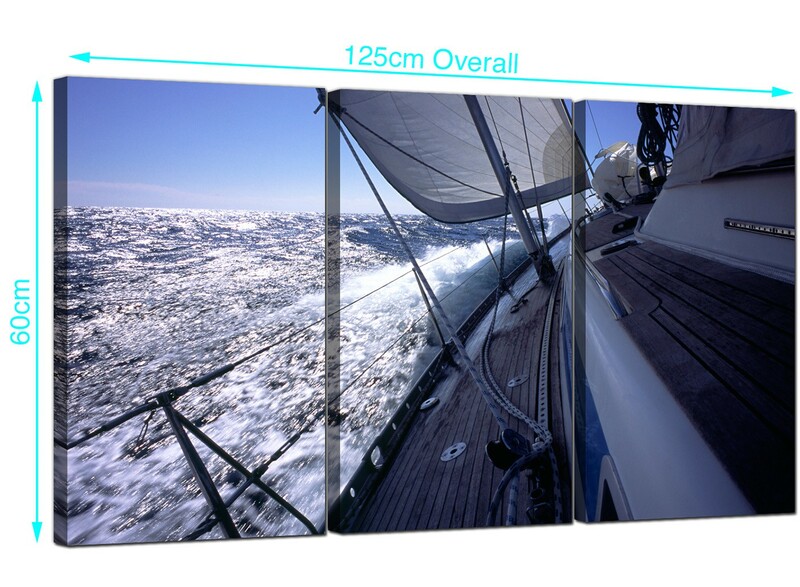 Measurements: 49inch x 24inch including spaces. All panels are 16in x 24in. 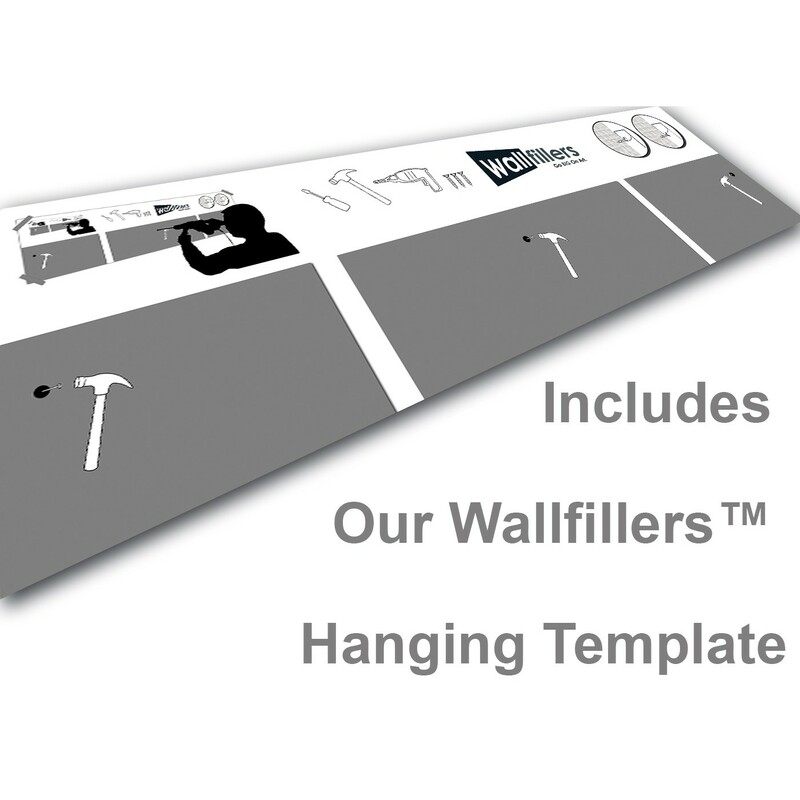 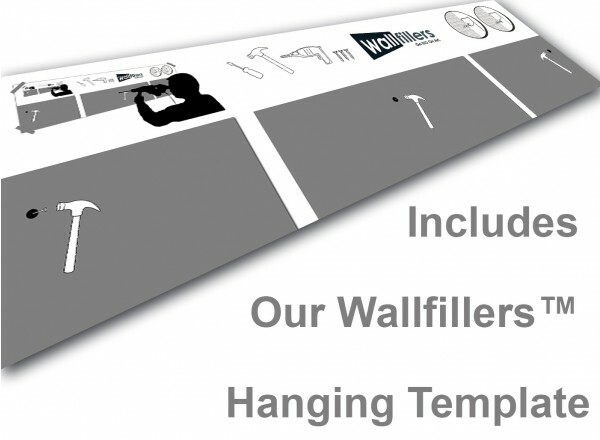 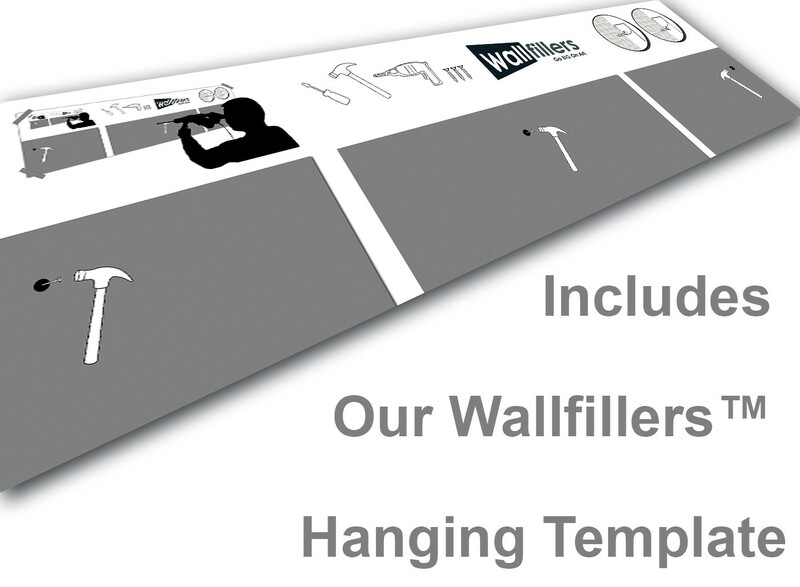 Wallfillers advise a gap of 2.5cm between each section.